Tagging now supports regex for device names and interface fields, and supports IPv6. As a reminder, a comprehensive table references all types of inputs for all of the available Tag Fields, it is located here. 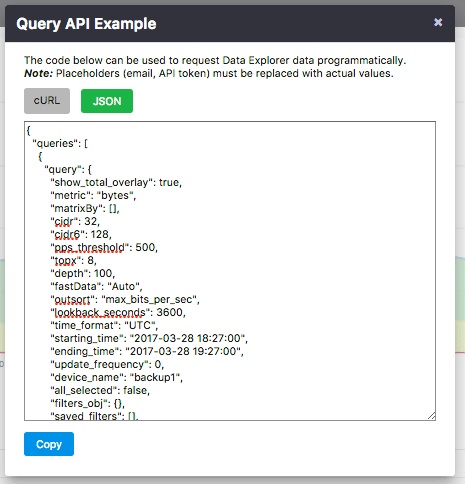 For instance, if your interfaces always include consistent descriptions, you could potentially match said interface descriptions on either ‘PNI’ or ‘Peer’ or ‘customer’ and tag all the matches as ‘Peering’ to then be able to filter them in or out of any Data Explorer query. 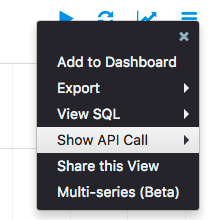 You can now see the API calls in Data Explorer as prettified JSON, making it much easier for your users to identify the fields at play in your API calls. Peering analytics now supports IPv6 as well as showing the full path on mouseover.